We’d love your help. Let us know what’s wrong with this preview of To Dance Amongst The Stars by Steph Bennion. 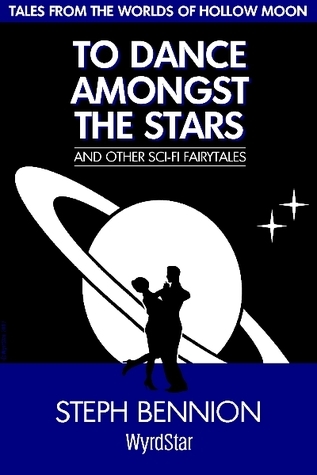 To ask other readers questions about To Dance Amongst The Stars, please sign up. How much fun was this ?? Rhetorical question of course. For a short story aimed at people a good deal younger than me (or am I indeed a young at heart adult ?) this was really good and a lot of fun. I "found" Steph through her review of a book I had read, and was interested in her comments, so thought I should take a look at her books (or those she has contributed to - I have already downloaded Wyrd Worlds as well as her other short story - Merry Christmas Mr Wolf). Well I was certainly not disap How much fun was this ?? Rhetorical question of course. For a short story aimed at people a good deal younger than me (or am I indeed a young at heart adult ?) this was really good and a lot of fun. A future version of a classic fairy tale. Very well written and easy to read, but even though the story is familiar there are many interesting twists and turns that will bring a smile to your face. The only minor criticism that I could make is that, for me, it ended a little too quickly - I would have liked an expanded ending. I will certainly look forward to reading more of the authors stories - and possibly using a similar basis - more future fairy stories.